It’s late afternoon and the sun has just sunk below the horizon as a group of friends chat around a braai at the clubhouse overlooking the airfield in Botswana. Suddenly a cellphone starts ringing. It’s Charl Viljoen calling Jan de Wet, co-owner of Matsieng Flying Club in Rasesa, near Gaborone. He wants to know the whereabouts of his estranged wife, Natasha. “She’s here at the clubhouse,” Jan replies. Jan can hear the plane’s engine in the background. 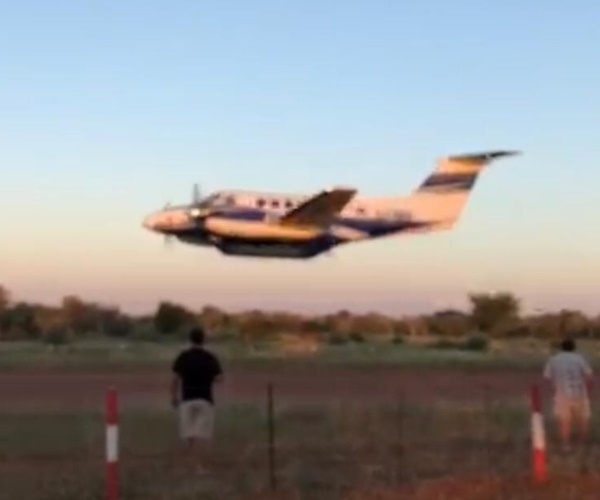 Moments later, the Beechcraft King Air B200 appears, swooping dangerously low over the air strip. “It’s Charl!” one of the men yells. The plane makes five low passes over the airfield. “Run! Get your kids and run!” another man shouts in terror. Natasha (32) grabs her screaming seven-year-old son and starts running. Everyone’s fleeing in different directions – some take cover behind buildings, others run into the veld. From a few hundred metres away, Natasha watches in horror as the flames devour the building. She knows Charl (37) is somewhere inside the inferno. And 50 other people narrowly escaped the same fate. Just more than a week after the tragedy that made international headlines the family of the South African pilot are still in shock. Charl had a hot temper and could be extremely impulsive, friends and family agree. But most of them are struggling to come to terms with the fact that he ended his life so violently and endangered so many others. Although Natasha was married to him for nearly 10 years, even she can’t explain his cruel deed. Charl had moved out of their home about a month earlier. But even so, in the weeks before the crash there was a lot of conflict between him and his wife. 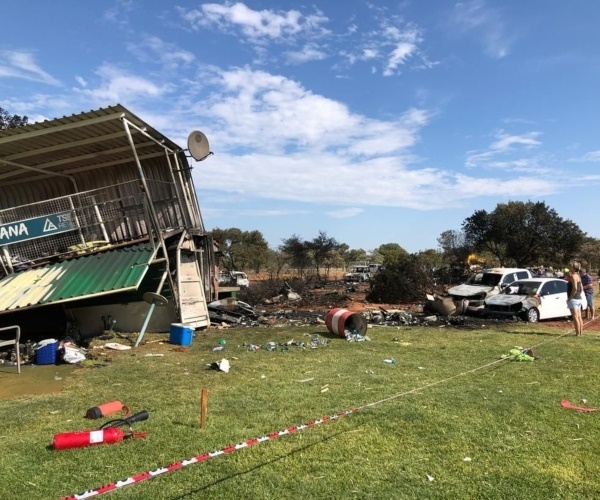 An hour-and-a-half before the tragedy, Natasha was at a friend’s baby shower at a house on the vast farm where the landing strip is situated when Charl pitched up. He sent their son in to call her, but she didn’t want to go out because she was worried it would just lead to another confrontation. Her mother, Dalene, went out to talk to him instead. After they’d chatted for a while, Charl hugged his mother-in-law, got back in his bakkie and drove away. The next time Natasha saw him, he was in a plane hurtling towards the clubhouse. That is what a friend, who asked not to be named said. “If you can survive the war inside yourself, you can survive anything,” was one of the many posts on Charl’s Facebook profile, which has since been deactivated. “He’d been in emotional anguish,” the friend says. 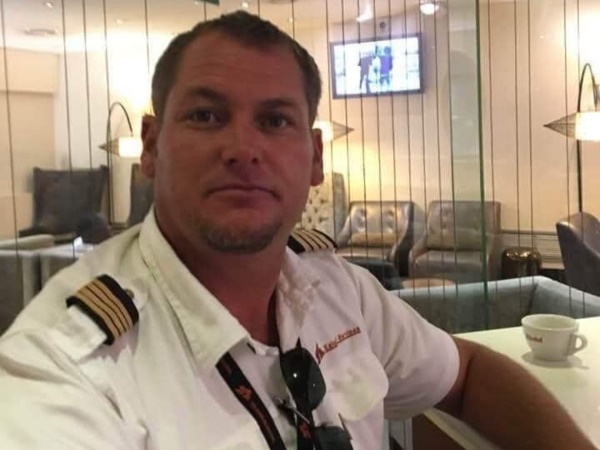 The friend says Charl had left Kalahari Air Services where he’d worked as a pilot a few years ago to start his own business – transporting scrap metal from Botswana to sell in South Africa. But when things didn’t pan out, he returned to the air charter service provider. “I assumed his state of mind had been caused by problems with his business,” the friend says. But Charl’s problems ran deeper than that, says a friend of the couple who also asked not to be named. She says he was intensely jealous and Natasha’s life wasn’t easy. There were rumours of infidelity on his part, but that isn’t what ended the marriage, the friend says. He was emotionally manipulative, the friend says. Charl had threatened to end his life if Natasha left, but “I never expected he would commit suicide”. When he flew his plane into the clubhouse that night, the friend continues, they suddenly understood the situation Natasha had been in. When she looks back on that fateful night she feels extremely angry, the friend adds. “I keep hearing the women screaming and seeing Natasha’s little boy crying. 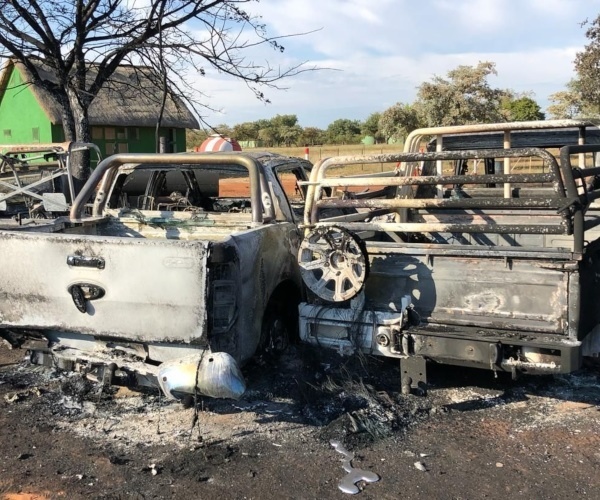 Charl drove to the Sir Seretse Khama International Airport in Gaborone after his conversation with Dalene, says an emergency worker who arrived on the scene soon after the crash and asked not to be named. At the airport, Charl signed out a plane without authorisation. It’s still not known how he was able to take the plane without the proper permission, but to some his motives are clear. “It was nothing less than an attempt at premeditated murder,” the emergency worker adds. After separating from Natasha, Charl had been living with his dad, Buks. Buks (62) told Rapport newspaper that in the week before the crash he’d persuaded Charl to get help for his depression because he was worried about his son’s state of mind. He was due to have his first appointment with a psychologist the following week. Charl’s marriage troubles started late last year, Buks says, but he insists they were not the result of infidelity but rather of financial issues. “My son loved his wife until the very end and fought hard to save his marriage,” he adds. A friend of Charl’s says many people were worried about him. “No one can deny that he’d changed recently. He’d alienated everyone in his life. YOU approached Natasha for comment but she declined the request.